I have recieved an e-mail from one of the decendents of William Roy who played for Grasshoppers in the 1890s, and said descendent believes he is in this picture of the Bonnybridge Grasshoppers. NB- I have seen a lot of pictures of Falkirk District Clubs in my time, and have never seen this, and the tops are definitely Grasshoppers. 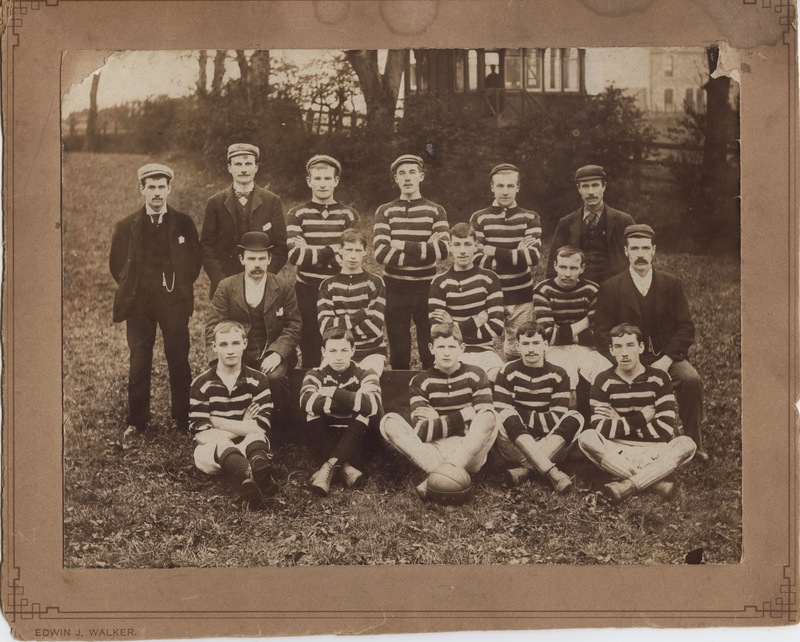 Grasshoppers were almost ever present in the Senior Football Scene from their birth in 1875 until they folded about 1900, but they could really only recruit locally, and the expansion of League Football in the 1890s to 1900s really spelt the death knell of the 19th Century Village Clubs. If you know more than I of this photo, please get in touch.